When you find yourself in the theater watching Avengers: Infinity War this weekend, you’ll likely see more superheroes on the big screen than ever before. But I’ll tell you one Marvel character who’s been around forever that you won’t see, and that’s Namor AKA The Sub-Mariner. While that was quite succinct, we imagine he can’t say too much regarding this matter, not only because of the legality of the situation, but also because not being able to utilize Namor may very well disappoint him. After all, the Sub-Mariner has been right there in some of Marvel’s major crossover comic book events, even as part of the Illuminati. That said, it’s things like that causing True Believers to lament his absence time and again. Still, we have a problem of sorts swimming in from the direction of Warner Bros. in Burbank, and that’s Aquaman. 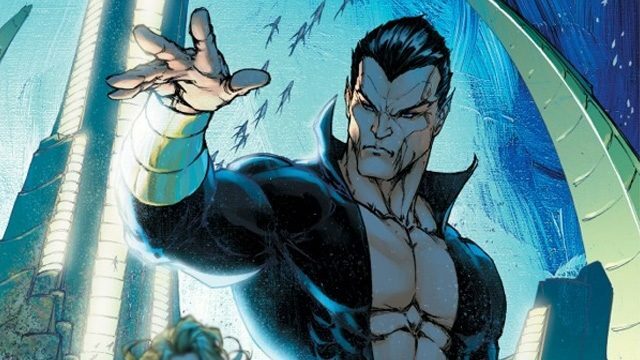 Sure, Namor may predate him by more than two years in the comics, but Arthur Curry is more well known amongst the mainstream, and the fact that he’s made it to the silver screen first may cause the idea of a water-based hero to lose its luster with casual moviegoers. To draw a brief parallel, I’d say this is very similar to how Darkseid predates Thanos, but thanks to years of WB dragging their feet, Marvel now has the market cornered on intergalactic despots. Still, if anyone could make Namor resonate with the general public after all this, it’s Feige and company.